It is very nice to hear that you would buy the giant lobster at the auction, and then release the lobster into the ocean. 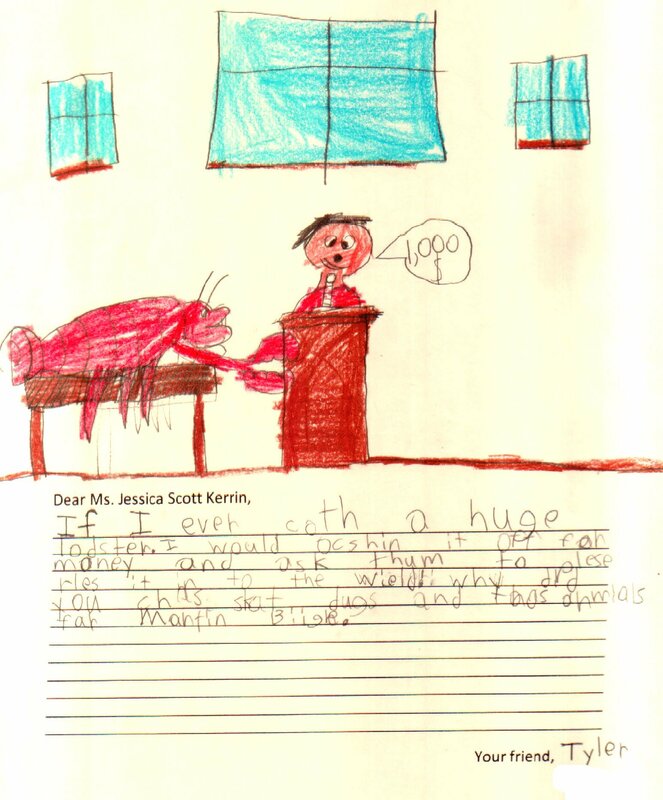 This is a great scene you’ve drawn of the auctioneer at the podium with the giant lobster. I almost feel as if I’m sitting beside you in the audience while you are bidding on it!